Hsieh Kun Ming Taipei, Taiwan. - BOUNDLESS HIMALAYAS TREKKING & EXPEDITION (P.) LTD.
Hsieh Kun Ming Taipei, Taiwan. 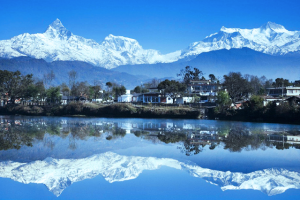 Our Pokhara tour have 4 days to Pokhara but not so lucky due to rainy in night. And cloudy, but have a lots of fresh air, very sincere of tour guide,.Go everywhere was happy, and the meal for each as we request very well. We thanks for tour guide Bitin. I think next time will be lucky. The clear sky also.